Abuja, 28th September 2018 . The Directorate of Peace Keeping and Regional Security of the Commission of the Economic Community of West African States (ECOWAS) in collaboration with Member States, Training Centres of Excellence (TCEs), the African Union (AU) and the Deutsche Gesellschaft für Internationale Zusammenarbeit (GIZ) conducted the Main Planning Conference (MPC) for its Command Post Exercise (CPX) – JIGUI IV, which aims to test the Full Operational Capacity (FOC) of the ECOWAS Standby Force (ESF). The 5-day meeting which ended on 28th September 2018 at the National Defence College in Abuja, Nigeria saw participants develop the Exercise plan, Exercise Structure and further develop the CARANA Scenario which is being used for the CPX. The conference also availed participants the opportunity to further develop the technical communication plans for the Exercise, its public information and media strategy and logistic plans also known as ‘real life support’. The Director of Peace Keeping and Regional security Dr, Cyriaque Agnekethom during his remarks at the close of the conference expressed his satisfaction with the input of the participants to improve on the strategies developed during the Initial Planning Conference which held in November 2017. 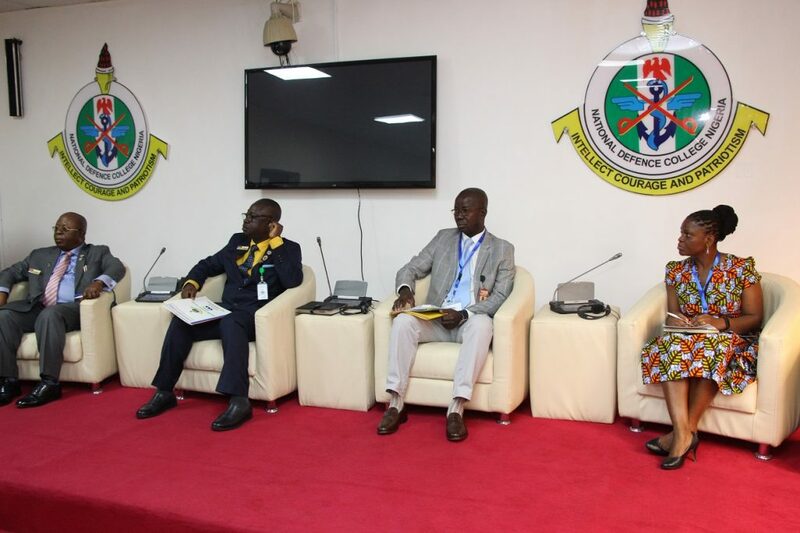 The Director expressed the commitment of the management of the Commission to ensure that the CPX takes place in line with the Exercise timelines which were also established during the conference. The MPC is expected to be followed by the operational headquarters training scheduled to hold in October 2018 at Ecole de Maintien de la Paix Alioune Blondin Beye in Bamako, Mali as part of the build up to the Exercise. The CPX JIGUI IV scheduled to take place in 2019 aims to test and enhance the capability of the ESF to conduct strategic and operational level planning for multidimensional operations and to exercise command and control of deployed forces on a simulated ECOWAS/ AU mandated Peace and Security Operation in the region.